Beetroot and brownie? It’s not something you would usually put together, right? Well you’ll be surprised to know that this healthy dessert option actually tastes spectacular! Don’t believe us? 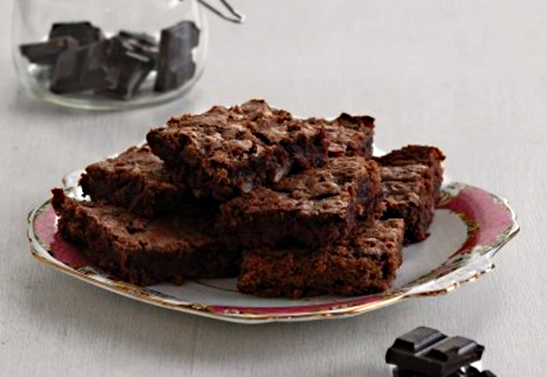 Try the Beetroot Brownies Recipe for yourself. Below we have provided everything you need to know, including ingredients, method and even the nutritional information! Preheat oven to 190c (170 fan), 375f, gas mark 5. Grease & line a 20cm baking tin. Put chocolate pieces & butter into a large bowl sitting above a pan of simmering water. Stir until melted. Set aside to cool for 10 mins. In another bowl beat together eggs, egg yolk, sugar & vanilla extract. Beat this mix into the cooling chocolate mix. Sift flour into chocolate batter & stir in beetroot & dates. Pour into baking tin. Bake for 20-25 mins. Leave to cool in tin before removing & cutting into squares. Sounds good doesn’t it! Give it a crack at home and let us know how you get on by tweeting us at @foodofleeds! Our member restaurants offer special promotions and have unique content areas on our portal.